In our polyclonal hen egg IgY antibody service, the standard schedule starts with a ten-week immunizing scheme, with the freedom to continue IgY production thereafter. We offer reduced prices for additional animals on the same project. The eggs are shipped intact to the customer alternatively as purified total IgY or affinity purified antibodies. 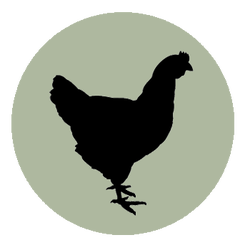 Our White Leghorn hens are well suited for the purpose of antibody production and lay approximately 300 eggs/year. ELISA on total IgY from eggs will be run at customer's request. If you would like us to deliver ready-to-use purified antibodies, we can easily assist you with affinity purification services. We can also run a Western Blot with your purified antibody.